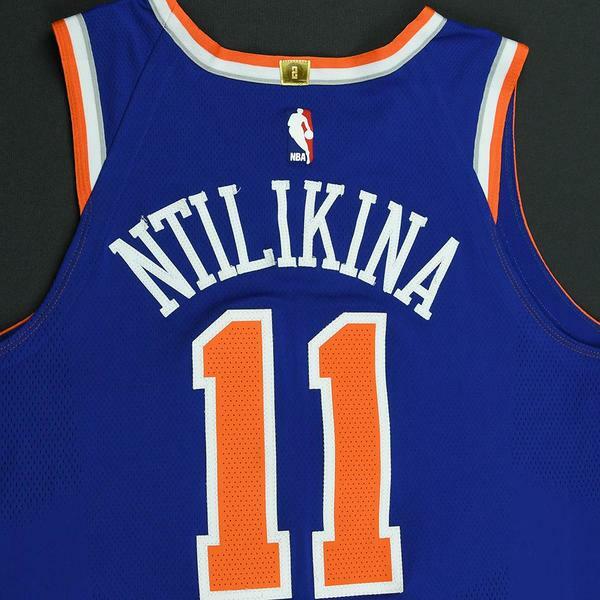 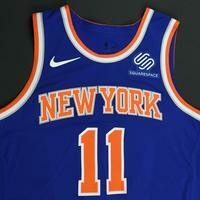 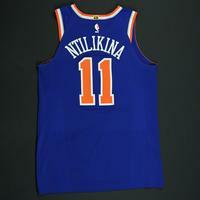 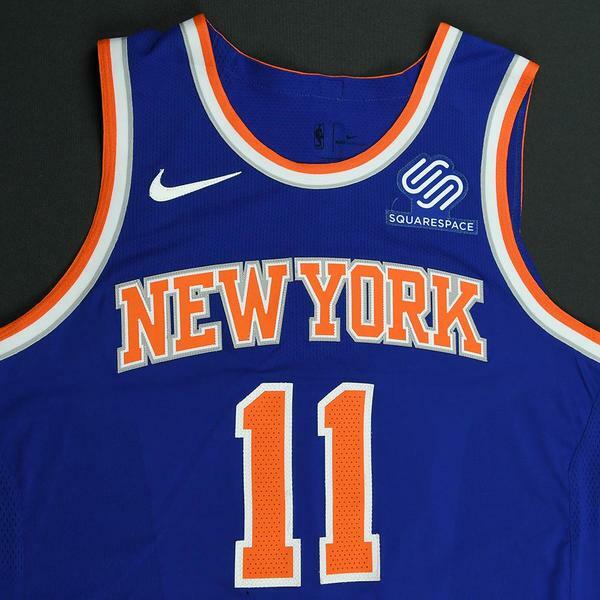 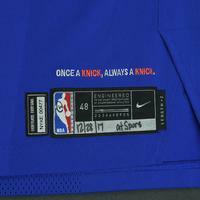 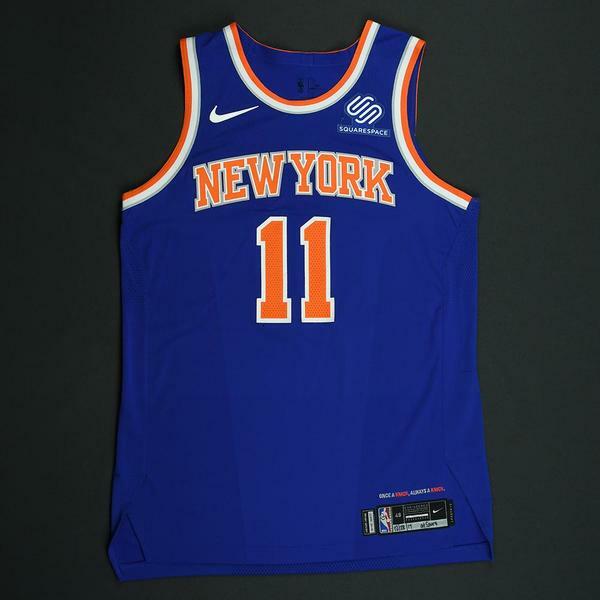 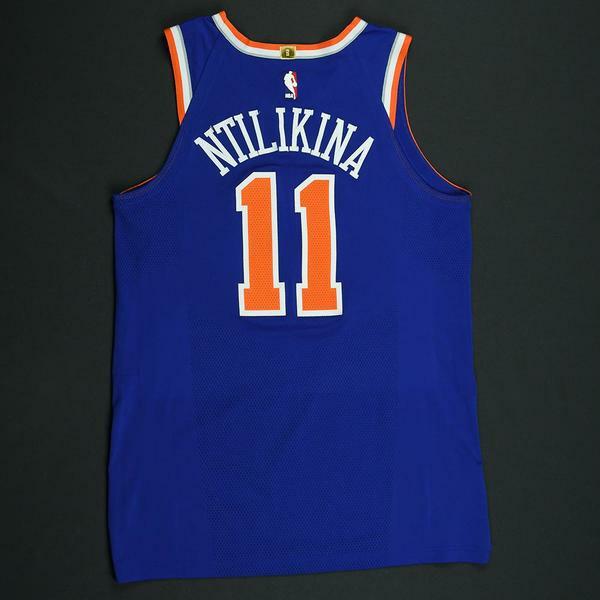 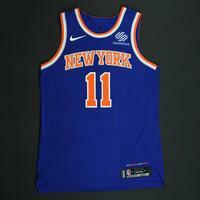 Ntilikina wore this jersey during the Knicks' 119-107 loss to the San Antonio Spurs on December 28, 2015 at AT&T Center in San Antonio, TX. 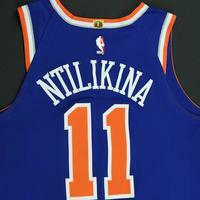 He played 32 minutes and registered 9 points with 11 assists, 3 rebounds and 3 steals. 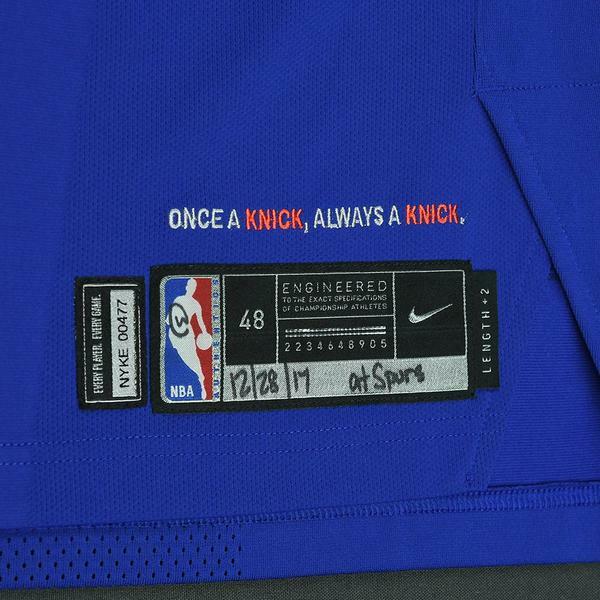 "12/28/17 at Spurs" has been handwritten on the jock tag.